Weather: Windy with a few showers. Although I said windy for the weather this was a bit of an understatement. Made it impossible for most of us to fish the long pole today. 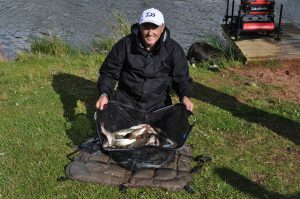 Don Lines won on Queensberry from peg 21 with 41lb made up of mostly silvers. Second was John Brooke’s with 40lb 06oz from peg 19. 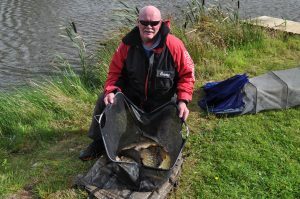 Third was Matt Baxter with 37lb 12oz who fished the paste on peg 23. 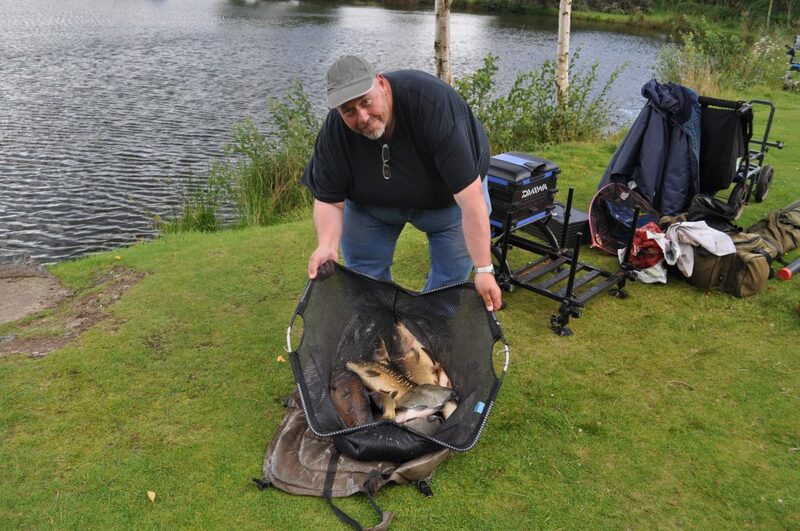 Some good back up weights with some big carp showing. Wallace’s fished well with worm being as popular as ever. 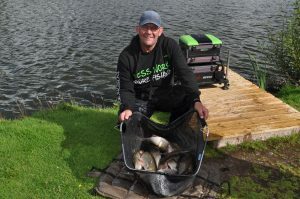 Congratulations to Dave McAuley who weighed in 54lb 12oz, just pipping Michael Harkness who weighed in a new PB of 52lb 02oz of mostly carp from the end peg (35). Geoff Brought finished third fishing down the margin for 49lb again from the end peg 46. 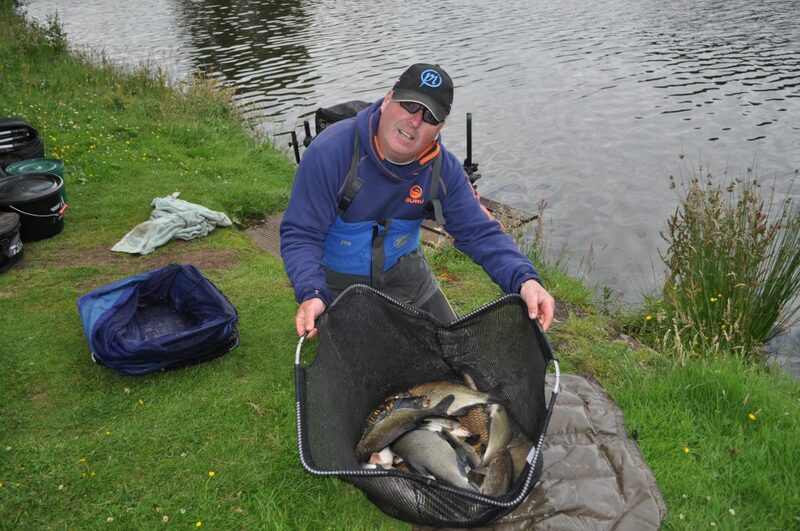 Again as with Queensberry some good back up weights nothing below 25lb which is pretty good for what were tough conditions. 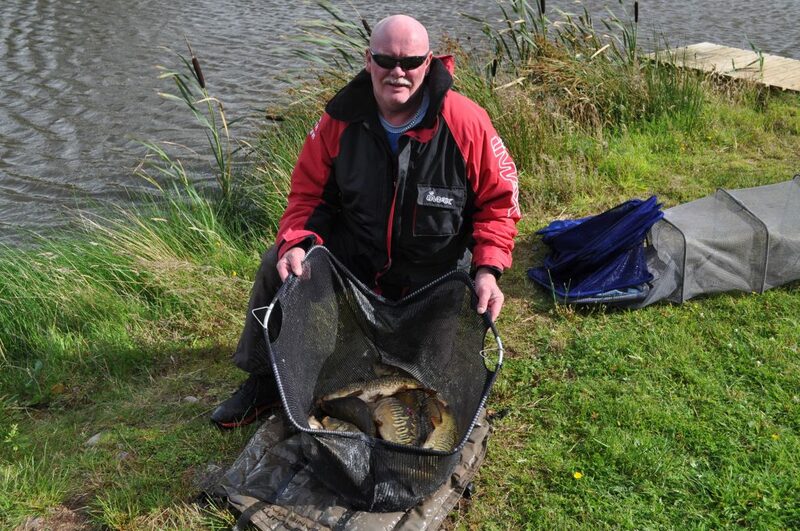 Congratulations to Dave on not only winning Wallace’s but also winning the golden peg on my favourite peg 42. Broom Series next week and Carole will post the lake draw soon if she hasn’t already. Don’t forget if you need worm to let John know. Hopefully the wind will be kind next week. Don’t forget there will also be a Friday night match this week draw 5 o’clock. Please register on the website for entry.